The Sugar Boys used a 4-2 victory over Virgin Gorda United on Sunday afternoon in Virgin Gorda, to stay unbeaten in the BVI Football Association Men’s League. 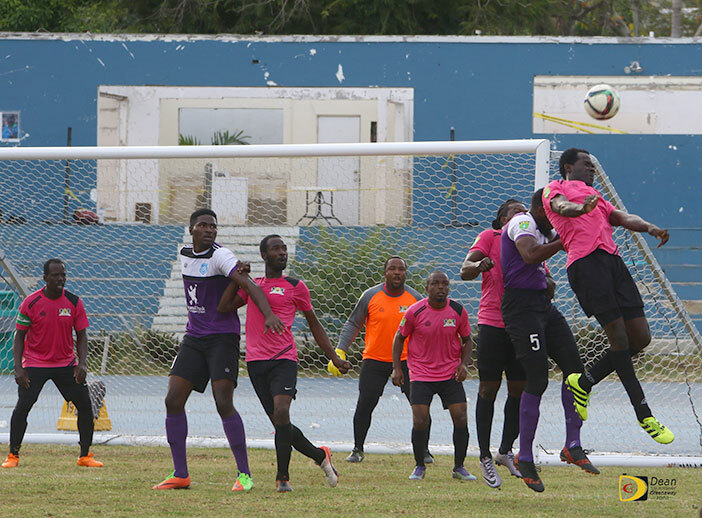 Michael Castello opened the scoring for the Sugar Boys in the 19th minute, but Marknique Williams levelled the match at 1-1 for VG in the 23rd minute, before Delano Barbour, on the stroke of half time put Virgin Gorda United back in front, 2-1. The Sugar Boys’ Romaine Codner made it 2-2 in the 53rd minute, then Andres Bailey put them in front for good in the 60th minute, before Codner fired home his second deep into added time to wrap things up, 4-2. On Tortola, defending champions Islanders made it back to back wins by overcoming One Love, 3-1, at the A.O. Shirley Grounds. Ranalie Cain had unfortunately given One Love a 35th minute lead with an own goal, but within the first minute of the second half, Julian Davidson scored the first of his brace to level the game at 1-1 for the Islanders. He added his second goal in the 61st minute to make it 2-1, for the defending champions and then Jamal Sergeant wrapped up the match to secure all three points in the 66th. The win put the Islanders joint second in the standings with One Love, on 6 points, as both sport 2-1 records. Elsewhere, Old Madrid entertained Don Farell’s Willful Skillful team out of St Kitts and they did the hosts no favors winning 7-3 on Saturday in Greenland, with five goals from Caston Stephenson and a brace from Franklyn Victor. ,Old Madrid’s goals came from Kenmore Peters, Humprey Leue and Bernard Grant. Sunday on Virgin Gorda, the VG Masters played Willful Skillful to a pulsating 0-0 draw, then won the game 5-4, during a penalty shootout.